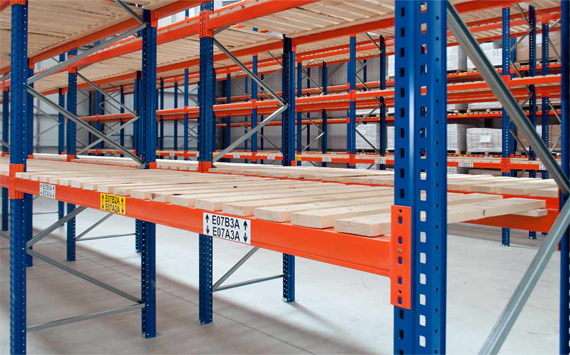 Pallet racks consist of galvanized stands with no welded parts. Assembly is done with screws. As a result of these screw connections, assembly is very simple, and in case of damage to a stand due to uncareful handling of loads, the damaged component can be replaced easily. Load bearing capacity of stand's is up to 22000kg, depending on the disposition of the longitudinal beams. 500, 600, 700, 800, 900, 1000, 1050, 1100, mm or custom, made for special order. 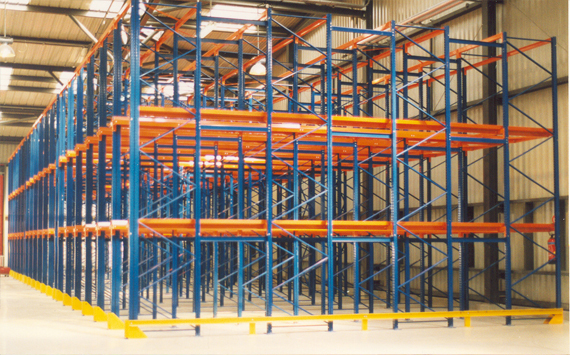 Rack heights range from 2000 to 8000mm. Longitudinal beams are produced in standard lengths of 1500, 1800, 2000, 2200, 2500, 2700 mm, or custom order. 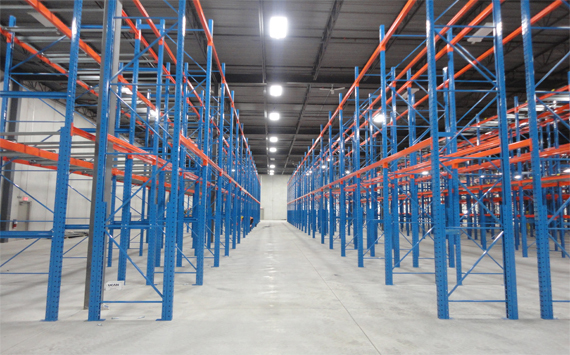 Their dimensions are determined by the required load-bearing capacity of each rack's storey. At the beam's end there are clamps which facilitate aesy and fast installation and adjustment of beam heights. By means of the special workmanship of pallete shelving beams with metal or some other type of filling, pallete storage rack is transformed into a shelving rack. Load-bearing capacity of longitudinal beams implies an even distribution of load across the storey's surface. Assembling the longitudinal beams is very simple and fast. The beams are secured with a special pin in order to prevent the beam from being dislodged during usage. Heights can be adjusted very easily and quickly (step heights of 75 or 50 mm). Beams can be plastified in blue or some other colour, all in accordance with the investor's wishes and preferences .